The Lenovo Tab 4 10 Plus is a premium tablet with functions useful to the entire family. At first sight, the device impresses with its splendid design, great performance, as well as with enhanced durability thanks to a modern two-layer protective glass that prevents scratches and impact damage. In addition, each user in the family can have their own account with a password and personalised settings. That's just one of the reasons why the Lenovo Tab 4 10 Plus is a great choice for a family tablet - you can use it for working, but also for entertaining the children. The Lenovo Tab 4 10 Plus tablet is a true family entertainment hub. Its large screen will seduce you into watching films, high-definition videos, or viewing photos. Get ready for some stunning visual effects on the widescreen Full HD display (1920 × 1200 pixels). There is a pair of cameras available - a rear one with a resolution of 8Mpx, and a front-facing 5Mpx device. The two front speakers enhanced by the Dolby Atmos technology will undoubtedly captivate you. Revel in truly immersive audio with or without headphones. The Lenovo Tab 4 10 Plus weighs a mere 475g and is 7.1mm thick. Despite its small dimensions, the tablet boasts very powerful hardware. Combined with 4GB RAM and 64GB of storage space, the Qualcomm Snapdragon 625 processor offers more than enough power for your applications, games, and multimedia. Naturally, a modern USB-C port is available. The device works smoothly and can handle difficult tasks with ease. The Lenovo Tab 4 10 Plus runs the Google Android 7.0 Nougat operating system and features a user-friendly interface. Integrated in the front button is a fingerprint reader, which makes switching between individual accounts within a family even easier. As soon as the fingerprint is scanned, the device logs you into your own account with personalised settings, wallpaper, and social media accounts. For additional convenience, you can purchase a Bluetooth keyboard that also serves as a stand and a protective case. Designed for children's needs are, for example, a shock-resistant case, filter for sensitive eyes, or fun stickers. You can obviously block access to inappropriate content. Qualcomm MSM8953 Snapdragon 625 Done! 10.1 " (25.65 cm) Done! Each type of display is suitable for different purposes. Modern smartphones have integrated a whole range of practical sensors, e.g. for sensing light, movement, position or an approaching object. Motion sensor, Gyroscope, Light sensor Done! Mobile phones feature internal memory for storing programs and various multimedia files. This space can often be expanded using a memory card. For smooth running of your smartphone, it's recommended to have a higher value, with 2 GB being a good place to start. 4 GB (4,096 MB) Done! 128 GB (131,072 MB) Done! Very fast wireless data transfer standard. It only works at 5 GHz, but it is backwards compatible with both the 802.11b/g/n and the 2.4 GHz frequency. The theoretical data bandwidth is up to 1 Gigabit per second. The exact weight of a device in grams. 475 g (0.48 kg) Done! 173 mm (17.3 cm) Done! 247 mm (24.7 cm) Done! 7.1 mm (0.71 cm) Done! 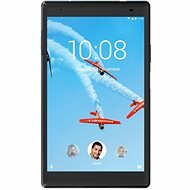 Für Versand nach Deutschland, besuchen Sie bitte Lenovo TAB 4 10 Plus 64GB White. Chcete doručit zboží do Česka? Prohlédněte si Lenovo TAB 4 10 Plus 64GB White. Chcete doručiť tovar na Slovensko? Prezrite si Lenovo TAB 4 10 Plus 64 GB White. 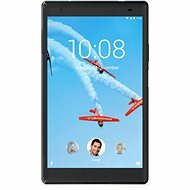 Für Versand nach Österreich, besuchen Sie bitte Lenovo TAB 4 10 Plus 64GB White. 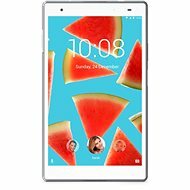 For shipping to the United Kingdom visit this page Lenovo Tab 4 10 Plus 64GB White. Magyarországra történő kiszállításért tekintse meg ezt a termékoldalt: Lenovo TAB 4 10 Plus 64GB White.